We have a bit of a thing for stuff that changes color around here. 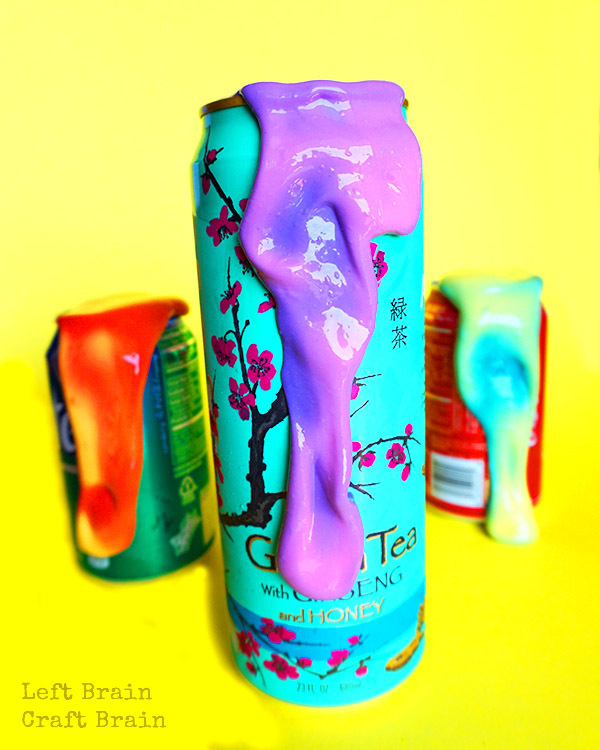 Things like slime. And lemonade. And mood lipstick with flowers inside. 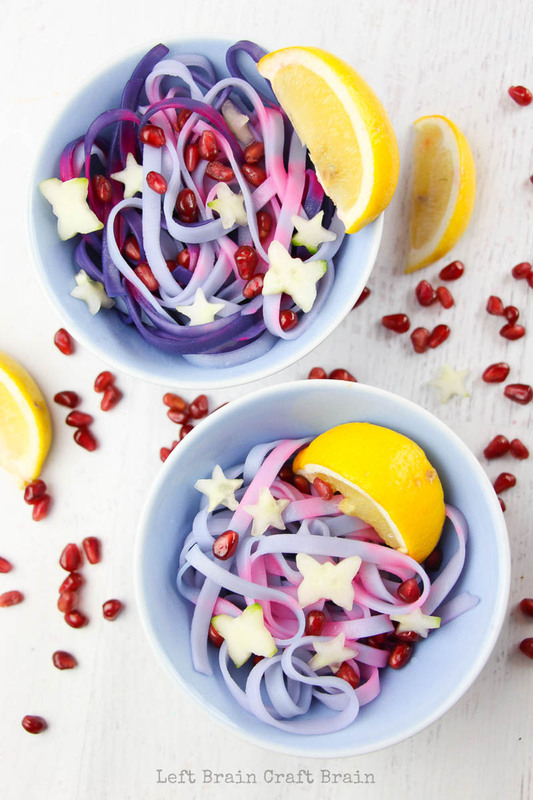 And when we saw these unicorn noodles made by @the_sunkissed_kitchen on Instagram, I knew they were a must try. And not just a culinary must try… A science must try! 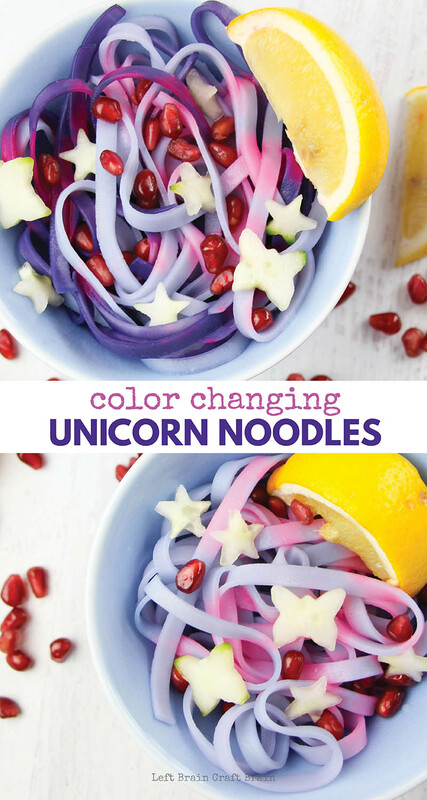 Because science turns these noodles into Magical Color Changing Unicorn Noodles. 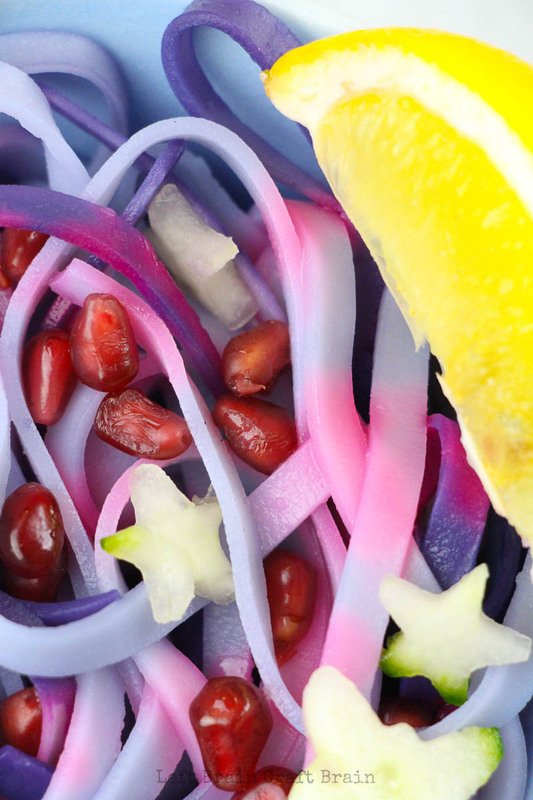 Unicorn noodles are one of the prettiest foods I’ve ever eaten. Well except for these Mermaid Cupcakes… I mean, really, who doesn’t love pink food? Especially when it doesn’t come in candy form! 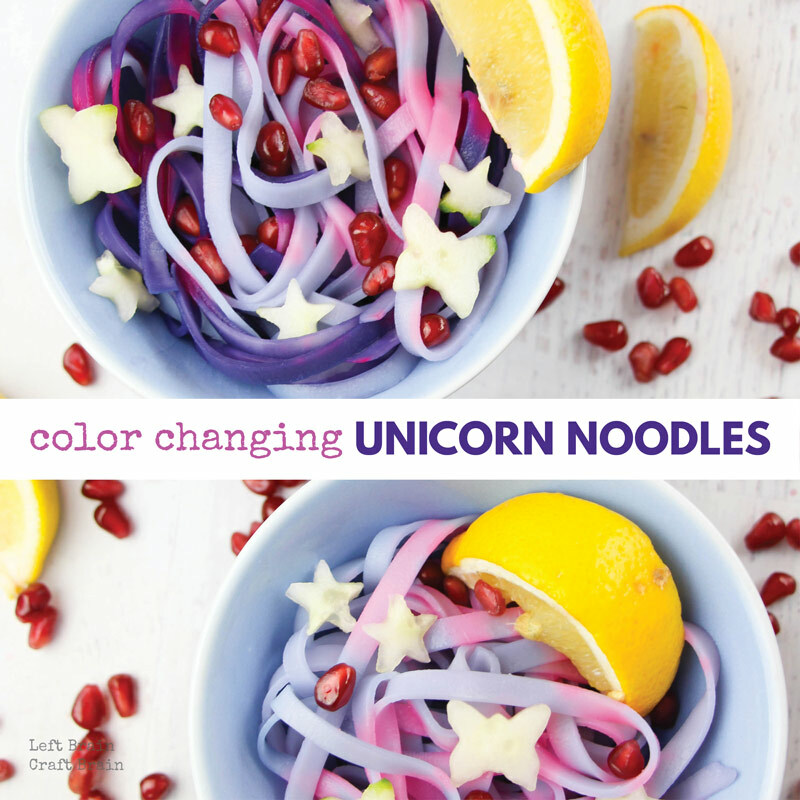 What’s even cooler is that there’s some amazing science behind the gorgeous hues of Color Changing Unicorn Noodles. The rice noodles are soaked in boiled cabbage water. Why? Cabbage juice acts as an indicator, meaning it changes color as the pH changes. A magical water-soluble pigment in red cabbage called anthocyanin changes color when it is mixed with an acid or a base. It’s purple when it’s in contact with neutral pH liquids (think water), pink when it touches acids (think lemon juice) and green when it touches bases (think baking soda). In this dish, kids get to change the pH themselves with a drizzle of lemon juice and watch the color changing magic happen while they eat. The more lemon juice they use, the pinker they get. 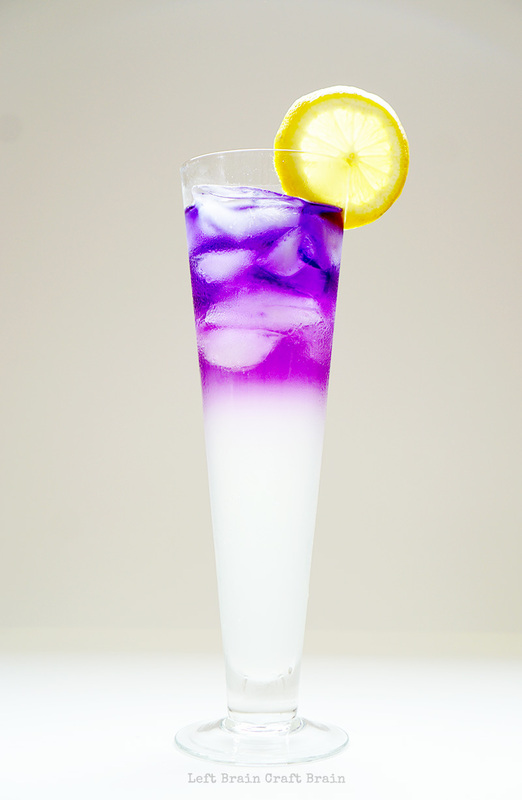 And definitely serve these noodles with a delicious glass of Color Changing Lemonade! Just one healthy (and totally yummy) ingredient makes it go pink! Place the cabbage in a large stockpot and cover with water. Boil until the water is deeply saturated with purple color and remove from heat, approximately 10 minutes. Remove the cabbage (save it for other recipes – you won’t need it again for this recipe) and place the rice noodles in the purple water. Let them soak for 7-8 minutes until soft, then remove half, and let the remaining half soak for an additional 5 minutes. Meanwhile, take your cucumber and cut into shapes for garnish. Drain the cabbage water and swirl together the blue and purple noodles. Serve with a sprinkle of pomegranate seeds, salt, pepper and cute cucumber shape accents. Place the lemons on the side for a magic transformation. 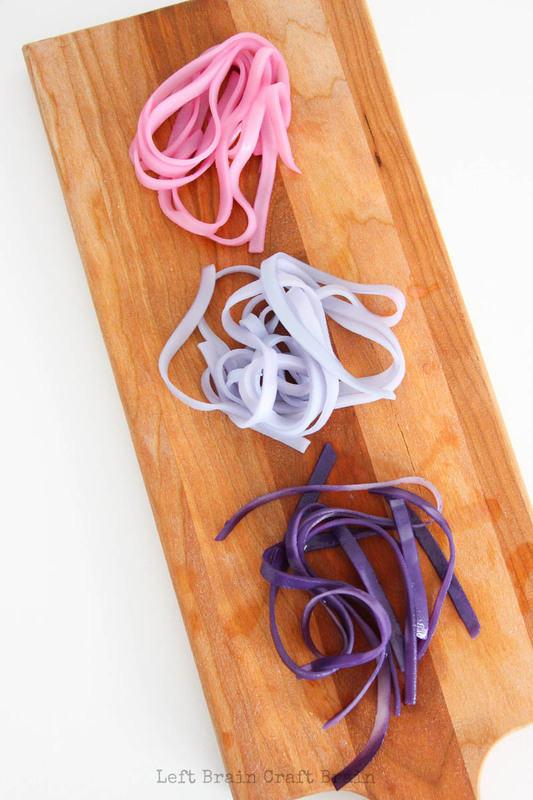 Have the kids squeeze a bit of lemon onto their noodles and watch as the noodles slowly change to pink! PS – you can alternatively soak a few of the noodles in lemon juice to have some pink ones to swirl in. Just be sure to rinse them before serving for the best taste.